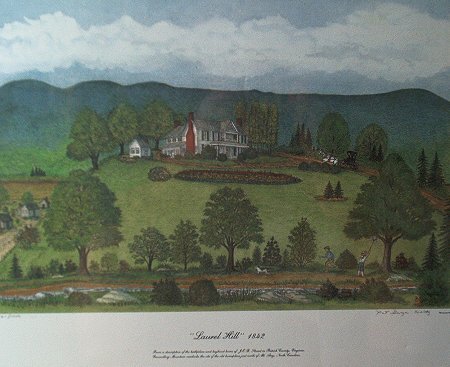 Local artist Pat Gwyn Woltz offers an artist's view of Laurel Hill depicting the scene of Jeb Stuart at 9 years old knocking down the hornet's nest in site of his parent's home. Shipping & Handling will be added to your total. The Patrick County Chamber of Commerce has merchandise available for sale including, prints, gifts, and souvenirs.